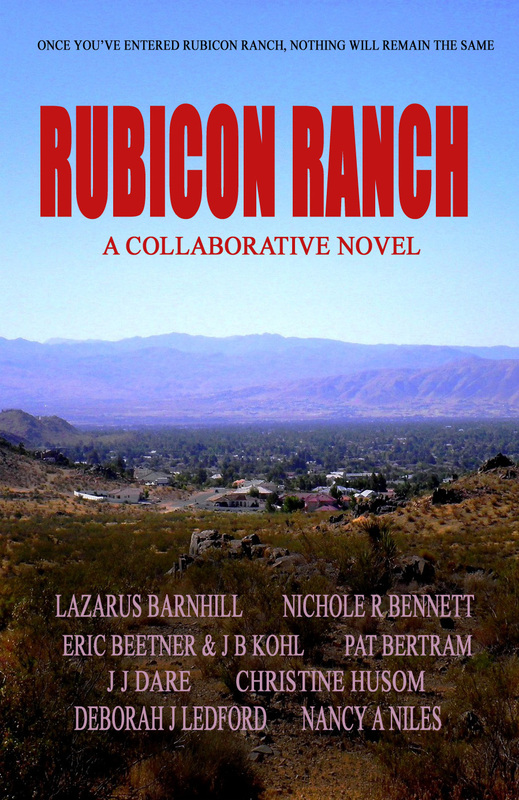 Rubicon Ranch is a collaborative novel I am writing online with eight other Second Wind authors. A little girl’s body has been found in the wilderness near the desert community of Rubicon Ranch. Was it an accident? Or . . . murder! But who would want to kill a child? Everyone in this upscale housing development is hiding something. Everyone has an agenda. Everyone’s life will be different after they have encountered the Rubicon. Rubicon Ranch, that is. If you haven’t yet checked the story out, you can find what we’ve written so far at: Rubicon Ranch. Here is the current chapter, told from the point of view of my character, Melanie Gray, a recent widow who found the child’s body. Melanie had taken the long way home from the restaurant, winding for hours through Rubicon Ranch, stopping to shoot exotic blooms in landscaped gardens and dainty wildflowers in unkempt yards. By the time she reached Tehachapi Road, she was exhausted. She half expected the sheriff to come after her, but apparently he’d accepted her brush-off as final — if you can call a full-fledged tantrum a brush-off. Why did he keep getting under her skin? He wasn’t her type. Not that she had a type. Alexander was the only man she’d ever loved, and she’d fallen for him so hard she could still feel the bruises twenty-three years later. Tears welled up in her eyes as she remembered her husband when they first met. His hazel eyes had blazed with golden lights as he smiled at her, and young fool that she’d been, she’d been dazzled. They had a great life, or so it had seemed. She’d felt safe with him as they traveled the world over. And free. What need had she of a house, a car, kids when she had him? Well, now she had nothing but debts. And doubts. Had Alexander ever loved her as she loved him? The voice startled Melanie. She scrubbed away her tears and looked around. An old woman with tan, leathery-looking skin and dark eyes shaded by a wide-brimmed straw hat was standing by an open mailbox, envelopes clutched in her hand. “Are you okay?” the woman repeated as she closed the mailbox. Laughing, the woman minced up the sidewalk to her front door. Melanie let the smile drop from her face, glad she didn’t have to pretend to be amused at the woman’s feeble joke. Nothing amused her any more. Not the irony of Alexander dying while texting. He hated texting. Said it was creating a new language and a cult of idiocy. Not the sheriff and his unsubtle attempts at flirtation. Not finding a little girl stuffed in a television set. Had that been someone’s idea of a joke? A fitting resting place for a child who watched too much television? She hastened up Tehachapi, but her footsteps slowed as she reached Delano Road. This neighborhood had never been welcoming, but now it felt threatening, as if unseen storm clouds were gathering above the custom-made houses. Maybe, finally, the sheriff was going to investigate the murderer instead of investigating her. Maybe, finally, he was going to turn his predatory gaze in the right direction. She almost felt sorry for the villain. It must be tough to collaborate. I like tough. This excerpt is top-notch. Bet the book’ll be a big hit. It is tough at times. Some authors get the point — that the story has to drive their writing rather than their writing driving the story, but all things considered, it’s been a great expereince. « Grief: The Great Yearning Has Been Published!